Many people are looking for real Soul music, well look the further the album Love Apparatus, by Jesse Boykins III is off the chain. This song is off Steel Tipped Dove's mixtape, called Steel Tipped Dove- & A Whole Bunch of Crazy Motherf*ckers Vol. 1. 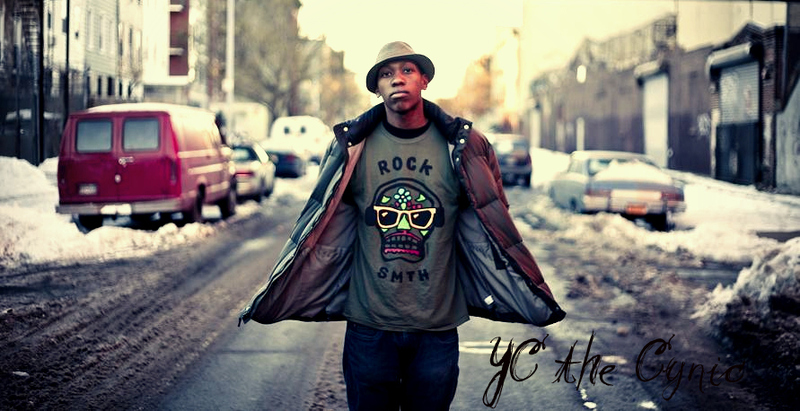 YC The Cynic is one of the rawest Emcees out today hands down, I'm glad to see the younger generation keeping Real HipHop alive. TwoineyLo is a 18 Year Old artist from Baltimore City. The difference between Twoiney and a lot of other rappers is that not only does he rap but also is learning how to mix & master his & other members of NWM songs. Twoiney says that "Music is one of the only things I have. So getting on you guys blog would be a blessing." Twoiney has been grinding for at least 8 months now without a manager but just really a team called #NWM (N)othing (W)ithout (M)otivation and our purpose is (as black males) to not end up as statistics like society wants or know we will be. To do so he has been dropping a new song every week showing consistency and progression in each song. Sooo . 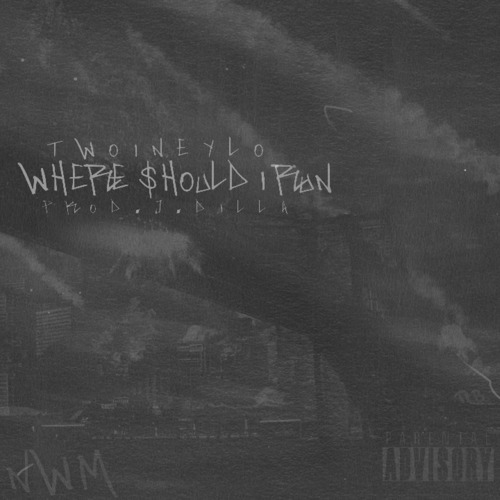 . .
"Where Should I Run (Prod. J Dilla)". TwoineyLo spits a qucik 16 on a legendary J Dilla instrumental. He speaks to the teens him age who are running away mentally in their minds but do not know where to go because they might feel as though people don't understand them or what they go through. This is just a teaser but I enjoyed anyway. Some find it difficult to come back after posting a major single. Cliff Po brought “Trillz” to the world and it was a viral success. But, he is hoping to show people that he is more than a lean-style rapper. Instead, Cliff Po wants to show he is a versatile artist, so he has gone in a completely different direction. With Sativa High featured, Cliff Po delivered “True Religion” which also became a success. Speaking on the real issues of the world, Cliff Po did a complete 180 from his earlier songs. This is what he hopes to show with his Eternity of Tomorrows album. 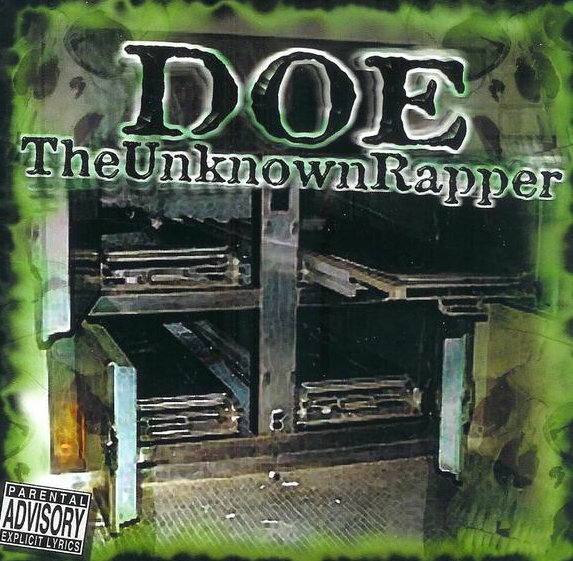 I can't think of one Emcee after a successful album comes back with a totally different sound than before. That's called being a true artist. Checkout the video below. I had to show some love for my man Doe The Unknown, I thought it was very original to record and shoot the video at Venice Beach in Los Angeles California. His joint Can't Wait really displays his lyrical skills as a Emcee. Now I have to go dig up more of his joints to see what I have been missing. I will keep ya'll posted, in the mean time check my man out below. Fab Soares isn't like most Emcees from London, the way he carries himself and representing that Boom Bap Rap style from the 90's puts him in another arena. Fab is known in the UK as "London's most blunted" something that sounds like a brand in the making. He' not alone either, Fab is part of a group of young individuals who are just as innovative and creative as he is. I'm sure after this post the, "Golden Age" HipHop heads will take notice of Fab who's like a UK version of Joey Bada$$. The Soul Pros (Pavlo Kee, Mike Wird and DJ A-L) are what I call the "New" De La Soul, with all of their conscious tracks made to move the Rap game forward and not backwards. Too many Emcees chase the money doing whatever it takes to be successful, but those Emcees never seem to last the test of time. Just a little food for thought...let us know how you feel about this group here. My dude E.B. 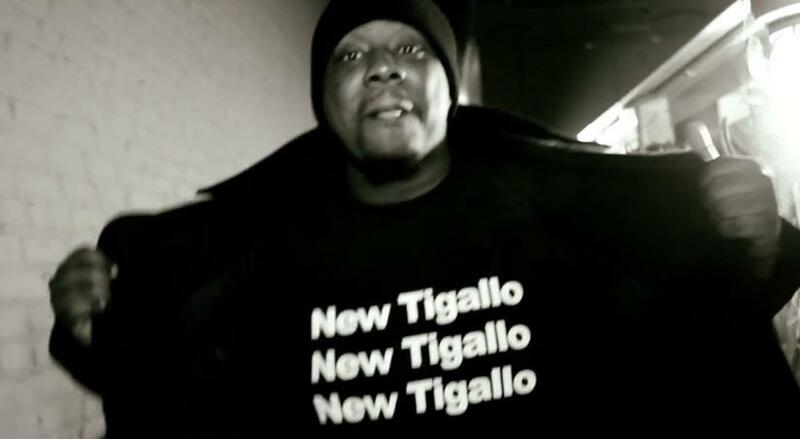 Phillips is a Brooklyn native, he raps and he writes poetry there is a difference. Yes I said write, you would be surprise how many Emcees who do NOT write their own rhymes. I want y'all to check out his latest project below and tell us what you think. Pretty much any artist willing to experiment gets my respect, especially in The Land Of Copycats. Surface Level Records Sampler Volume One is a 20-track compilation, from the Pittsburgh based HipHop collective, of new and unreleased songs as well as select songs from recent releases from their artists. SLR’s roster includes The Dads (Joey Smooth, Shaggy Rogers), Fortified PhonetX (Blacklisted, Connect, Moemaw Naedon), Galactic Brethren (Brother Seamus, Moemaw Naedon), Latebloomer, Proseed, and Stillborn Identity. Also, featured on the compilation are Cas Metah (Scribbling Idiots), Divine Seven, Kid A, Pseudo Slang, and production from FT Dub, Grieves (Rhymesayers), Ulliversal, and more. 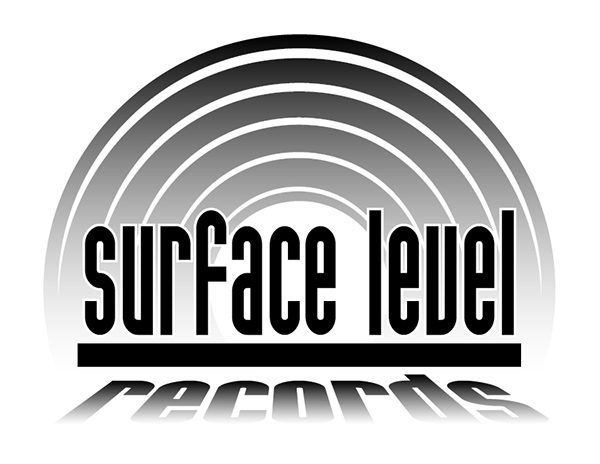 Check out www.surfacelevelrecords.com for more info on Surface Level Records123. These dudes are on some other sh....you need to check them out below. Joey Smooth, Moemaw Naedon, and Proseed. Mastered by Connect. These ladies are a combination of things eclectic is one, raw talent would be another, most would consider this to be a inquired taste of HipHop. Well unlike most HipHop sites we try to stay focused on the Art of music and not the drama behind it. Alex, Aria, & The AnˈTHēmiks, is the latest works by Alex Frole, Aria Irizarry, and is The AnˈTHēmiks debut. The AnˈTHēmiks is a production group formed by Velleity, Grits, and DDand of the Beat Lampers. All cover art was drawn by Sophia Rieth. I'm sure producers and DJ's will appreciate this joint. Pastor Troy has been doing this thing since 01' I used to think that all South Rappers were BS with the exception of OutKast. But I surely was wrong with that assumption, now we have artist like T.I. ,Big K.R.I.T. and Ludacris just to name a few Lyrical down south rappers. I just had to bring this back on some REWIND Sh*t because he simply goes hard. Music video by Pastor Troy performing Vica Versa. (C) 2001 Universal Motown Records, a division of UMG Recordings, Inc. When Pro-Era first hit the scene, New York Underground HipHop was on fire, I mean it's been a awhile since 50 Cent & G-Unit when you had New York rappers sounding like New York rappers. Joey Bada$$ was the lead man to this new movement along with DYME-A-DUZIN, CJ Fly & Capitol STEEZ (R.I.P.) Since the untimely death of Capitol STEEZ the group fell flat I bit mourning the death of their friend and fellow member. Right when they was getting back to business Kendrick Lamar burst out and kind of stole some of there shine. But they are still contenders in the HipHop game doing concerts with Kendrick's Black Hippie crew. This is just a tribute to Capitol STEEZ (The Man With The Dreads) who will be missed and never forgotten. Chicago Emcee/Producer, International Maverick just released his latest visuals for 'Black Diamonds'', a self produced track with visuals directed by Tommy Smalls. This is the 7 of 15 visuals he plans on releasing for his ''Dreem Katcher'' LP available here www.internationalmaverick.com Checkout the video below and go support some REal HipHop. Born and raised in my neck of the woods known as the DMV, Oddisee has been blessin' the Mic with his words of wisdom for quite sometime now. He's one of the few Emcees that I would call true Artist of the HipHop, he does it all write, produces, and make beats. Like the sweatshirt say about "Support Your Local Artist", they are truly the heart and soul of HipHop culture. I can't stop giving shine to my dude Homeboy Sandman, when he start releasing whack sh*t or start rapping about self-centered self absorbed rhymes and adding to the Miseducation of HipHop ...until then that will never happen. Another meaningful song which makes you think outside the box. And if you are unable to do that....kill yourself...peace. Before there was a Kendrick Lamar we had artist like Planet Asia holdin' down the West Coast Underground HipHop scene. This has always been one of my favorite cuts but it much views, with artist like Willie The Kid and Fashawn most people don't even know what they've been missing. It's also very obvious to say we can tell what East Coast group might have influence Asia coming up. Make sure you check this HipHop conglomerate of dope Emcees out below. 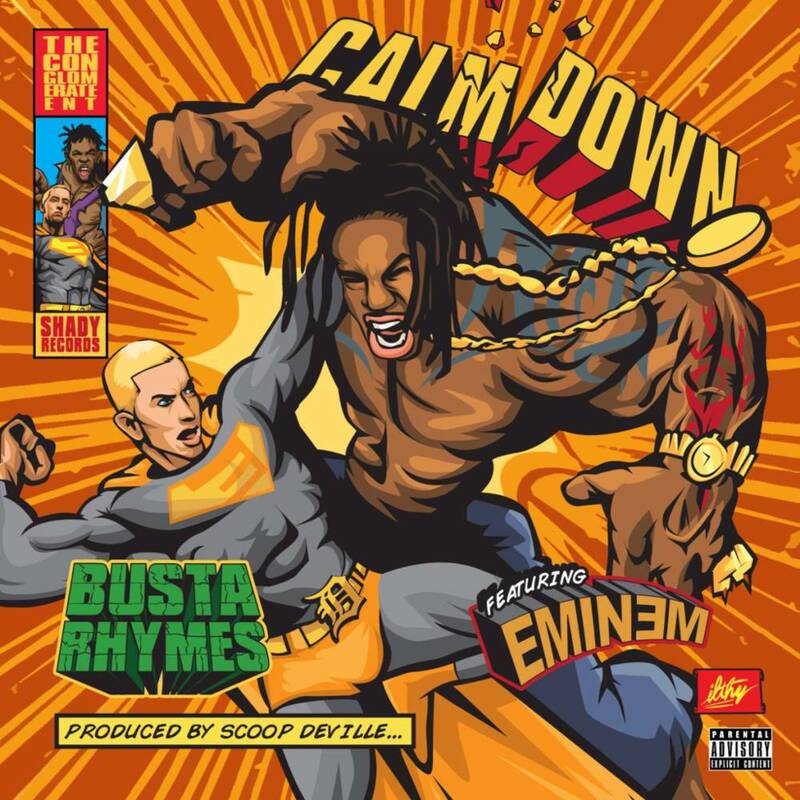 It looks like the old Busta Rhymes is coming back I see him growing his dreads again going back to those super raw lyrics which made him kill that "Scenario" joint. But he's not alone probably the most commercially know rapper of all time, Eminem has graced his presence on this track. People think just because these guys are not on the mainstream like before they fell off, nope these are two of the few Emcees who refused to be controlled by the "Industry Machine". A true artist writes from the heart not what the Execs & Big Corporations want them to write. To be truthful I don't see many artist that can fu*k with either one of these Lyrical Beast. Make sure you checkout the video below listen and watch what REal HipHop feels like. "Calm Down (Ft. Eminem)" Available Now! I can't believe I almost missed this joint right here done by Aspects featuring Raekwon, Killah Priest and my man Armageddon produced by Snowgoons. I got my team so busy chasing that deep underground beginner type HipHop big names like these sometimes fly over the radar. But better late than never here you go...this is what's "Popin'" in the streets, make sure you tell a friend....peace! 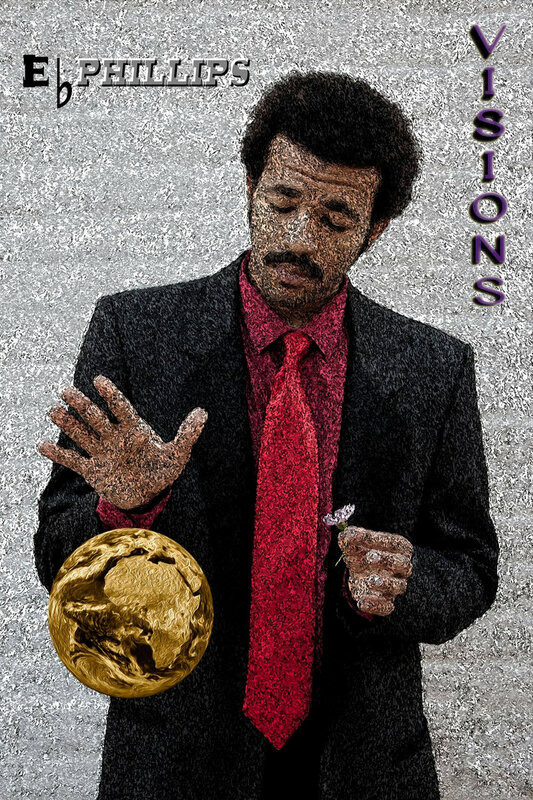 Aspects - "Grind Over Matter"
What can I say about Qu'ality.....hmmm to be honest not much I found this artist while surfing for another underground artist. I must admit this joint is pretty damn dope, it's not often you see a "Brotha" giving props to natural black women with they exception of Dead Prez . The lyrics are on point the beat is mad crazy and wow...the visuals are off the chain. Just hit play below I promise you are in for a treat. I promise the next time I will have more info on this artist. I wasn't always a G-Unit fan or 50 Cent in the beginning, but since 50 went back underground plus independent I'm really feeling the new G-Unit movement. I'm glad to see Buck back with crew and his new artist Kidd Kidd is a rhyming Beast. It would be nice to see Game come back but I know that will never happen. Checkout 50's tribute to Mike Brown and bringing awareness to police brutality, doing it in a way only G-Unit could do. 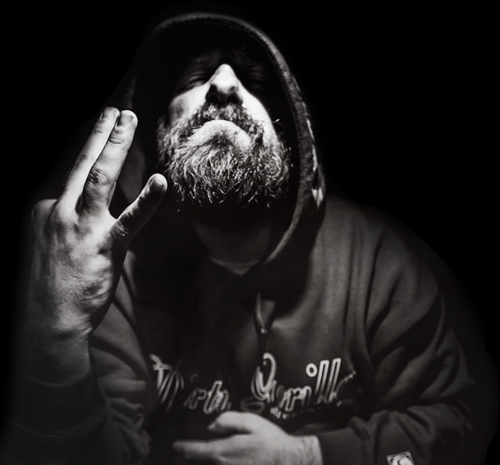 Straight out of the Battle Rap Arena, Okwerdz and Dirtbag Dan released their "Hate Me Cus I'm Great" video and it was very well received by their many fans. It amounted around 50,000 views on YouTube, however for one reason or another it was taken offline. Their work had a great impact on the underground music culture, as it was featured on an NBA 2K13 video that went viral on YouTube. Since then the video is back online and you can hear why the powers that be probably are afraid of these two Lyrical Beast. Is Perception KING or QUEEN? Or, a blurred line in between? That line can sometimes best be defined as "MAGIC". The art of magic is displayed by slight of hand, and by natural forces being influenced by mysterious powers. In this video demonstration for "The Magician" the mystery remains, but the veil is slightly lowered. The Opera is still Black, but this track brings new hints of sound in color. "The Magician" is a modern day vintage style mini-movie with a realistic portrayal of what happens when "too much, too soon" and "too little, too late" collide on the same track in a relationship. The Black Opera always comes up with those REal concepts and forces people to thing while enjoying their music. Checkout the vidoe below.